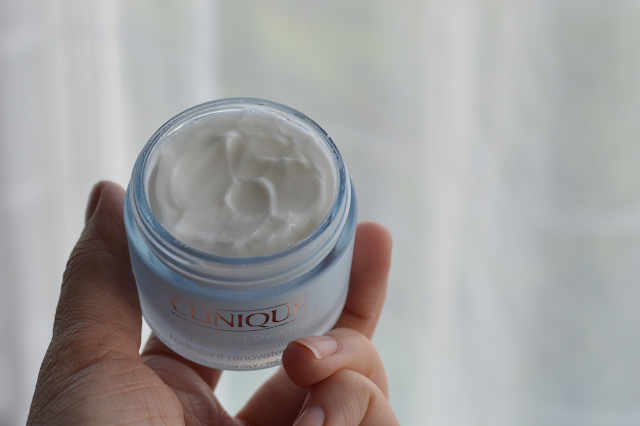 I've been mixing up my skincare routine recently and one product which has come to join the ranks is the Clinique Turnaround Overnight Radiance Moisturiser*. For me it's a true gem, I noticed a difference probably after 1 week of trying it which is pretty quick going for a moisturiser I think. In the morning I couldn't believe how clear my skin looked, it looked brighter and plump. 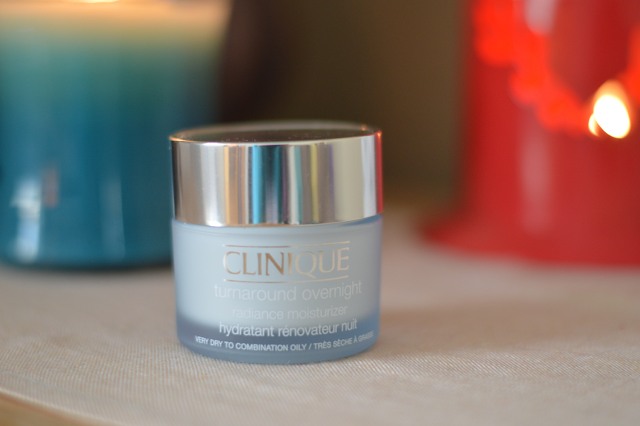 Everything you want from a night cream. It works over night by gently exfoliating the skin of dead skin cells, revealing brighter clearer skin. I particularly like how the night cream is suitable from the driest of skins to combination/oily. My skin type often changes with the seasons and I find I am battling with my skincare routine to keep up with the demands of my skin. However it's very pleasing and comforting to find a product which works for all skin types, this is one which I could see me using all year round and definitely repurchasing. The texture is creamy but lightweight, I think a big thumbs up for the oil-free formula. There's also a serum from the range which you can use together with the Overnight Moisturiser. I'm not surprised this won the Red magazine Best Of Beauty 2012, if you're on the look out for a new night cream or if you're wondering what to treat your Mum to for Mother's Day. Or maybe YOU could hint away. I would definitely add this to the top of your list!